The same exclusive attention to detail and commitment to uncompromising quality applies to the brand’s choice of metal packaging for its full range of distinctive colours. The metal can with its recognisable iconic design has been printed and produced in various sizes from 750ml to 5 L for over 20 years by Ardagh Group at its plant in Norwich, eastern England. 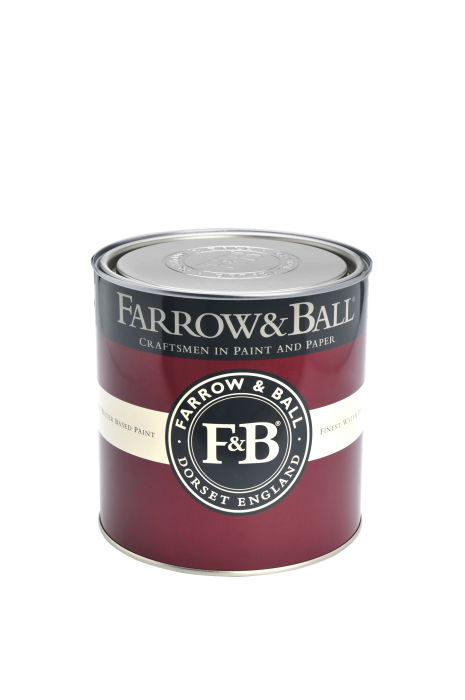 “There are many convincing practical and marketing reasons why we have retained the metal can for our paints “, says Josephine Rance, Chief Marketing Officer at Farrow & Ball, at the recent launch of their 9 new colours. Atomic Brands, the company behind the successful launch of the Monaco line of premium spirit cocktail beverages, is extending its lineup with new Moscow Mule and Kentucky Mule offerings. These new entries, as well as its entire line of spirit-based beverages, are packaged in environmentally-friendly aluminium beverage cans. Ardagh Group's beverage can manufacturing facilities in Fairfield, California, and Fremont, Ohio, and its food can manufacturing facility in Reno, Nevada, USA have achieved International Organisation for Standardization (ISO) 14001:2015 certification. Plans for additional Metal – North America plants to become ISO 14001 certified are underway with teams engaged in the process across numerous locations. One of the most original, and most eye-catching metal can designs of 2019 was recently unveiled at the launch of luxury iced coffee brand Gaya Gold Coffee. Manufactured at Ardagh Group’s Deventer, Netherlands plant for the Dutch brand owner Concept Drinks, the exquisitely-designed shaped can has already made an instant impact on the UAE (United Arab Emirates) market and will soon be launched in other Middle Eastern markets. Ardagh Group has been awarded the Health and Safety and Sustainable Practice awards at the British Glass annual Glass Focus awards, held at the Millennium Gallery in Sheffield. To present the highest quality asparagus and artichoke in a variety of delicious dressings, Bonduelle has turned to Ardagh Group to produce an eye-catching rectangular aluminium can for its premium Cassegrain range. The importance of a lightweight and fully recyclable aluminium can to contain nutritious seafood has long been accepted, but a recent collaboration in Norway between leading can producer Ardagh Group and major seafood brand Stabburet shows how the versatile package can also become a design icon. Ardagh is pleased to announce the introduction of Kahlúa Espresso Martini in Nitro Cans. The Nitro Can is the ready-to-drink (RTD) packaging solution for nitro beverages and was launched in late 2016 to capitalise on the nitro coffee trend gaining momentum in key European markets. Kahlúa uses a 250ml slim Nitro Can to provide consumers a velvety smooth Espresso Martini infused with nitrogen. Ardagh Group is delighted to announce that it has recently completed the conversion of its Rugby (UK) beverage can manufacturing plant from steel to aluminium. The conversion of the Rugby plant has further enhanced Ardagh’s manufacturing footprint. Nivea, one of the world’s most popular deodorants, has a new look for its female range in a taller sleek shaped aluminium aerosol can designed by Beiersdorf and manufactured by Ardagh Group. 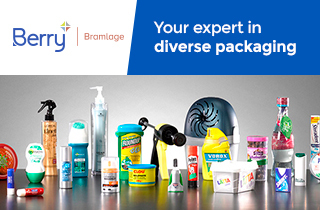 The 3-year re-packaging process, one of the most important marketing projects in the brand’s history, has been carefully managed at all stages to meet advanced technical requirements and customer specifications. Ardagh Group’s latest beverage can finishing, named ‘Matte & Mirror Impact,’ combines the trending combination of matte and glossy surfaces. A new ink compound is responsible for creating an eye-catching beverage packaging. The new finishing comprises a special admixture that can be used with any printable colour and creates matte effects on the otherwise glossy can surface. The unique and innovative design of the GLÜCK jar has given the Friedrich Göbber Company its first sector award. The ‘Innovative Glass Product’ award is organised by Aktionsforum Glasverpackung (part of BV Glas, the German Glass Association), where judges selected the preserve jar as this year’s winner. Ardagh Group, Glass – North America, a division of Ardagh Group and a leading producer of glass containers for the food and beverage industries in the United States, has announced the addition of a 12oz clear (flint) beer bottle to its BOB site. Manufactured in the U.S. using 100 percent and endlessly recyclable flint glass, the 12oz Clear Peak bottle with twist-off closure is now available for purchase on the site. Ardagh Group, Glass – North America, a division of Ardagh Group and a leading producer of glass containers for the food and beverage industries in the United States, was awarded three Energy Star® plant certifications for superior energy performance from the Environmental Protection Agency (EPA) – the only U.S. glass container manufacturer to earn this recognition. Technology traditionally used in the chocolate industry has been adapted by Ardagh’s Design Team to create differentiation through high definition glass embossing, adding textures and feature enhancement to a standard never seen before in glass packaging. How to deliver the ultimate wellbeing and the pleasurable taste of some of nature’s most naturally occurring wild flowers and plants as a modern beverage for discerning and health conscious consumers -- this was the challenge facing French entrepreneurs Vincent and Franck Chambonnier when they were planning the launch of their new brand, Flör. From café to can: Ardagh Group announced today the successful commercialisation of its metal beverage division’s latest innovation - the Nitro Can - a packaging solution launched in late 2016 to capitalise on the nitro coffee trend gaining momentum in key European markets. Ardagh Group announced today an important investment in its Rugby manufacturing plant for the purpose of converting its beverage can production capabilities from steel to aluminium. This venture will serve to support committed partnership agreements with some of the most well-established beverage brands in the world. For the launch of their new LUPULOID IPA, Beavertown Brewery has partnered with Ardagh Group in taking its can design to the next level. While the craft brewer is well-known for its eye-catching illustrations, for the debut of its signature new pale ale, it continues to integrate value-added solutions from Ardagh into its packaging. Family-owned German drinks manufacturer Rhodius Mineralquellen has reintroduced its mineral water into cans after more than a decade. In a move to grow its business, the company has invested in customized cans from Ardagh Group within two key product groups. As of October, natural mineral water and a mineral water/apple juice mix will now be available in eye-catching, sleek 330 ml cans throughout Germany.